I'm jealous - they're some some fine looking (and I'm sure tasting) fish. 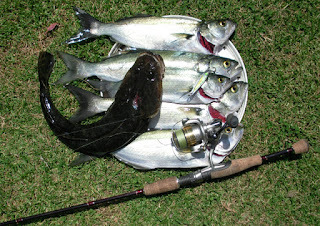 What's more, that's a bigger haul in one session than I've managed in my entire fishing "career". Admittedly I've only tried it about ten times, but even so!